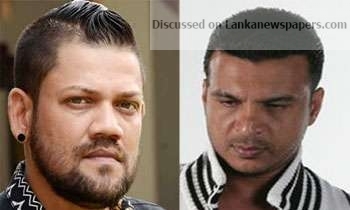 The STF searched Amal Perera’s house at Maharagama and actor Ryan Van Rooyen’s house at Dehiwala following the duo’s arrest in Dubai. Meanwhile, the STF recovered a digital scale and a bag with a false bottom at Ryan Van Rooyen’s house in Dehiwala. Singer Amal Perera, his son and actor Ryan were among those arrested along with drug lord Makandure Madush while celebrating a birthday party held at a luxury hotel in Dubai.